Cheap flights from Brussels to Boston for only €165! Super cheap flights from Brussels, Belgium to Boston, USA for only €165 roundtrip with WowAir! If you have long been planning to visit the United States this is the chance! Explore the East Coast of the USA! The historic city of Boston has some of the most outstanding monuments and attractions in the United States. The city offers incredible dining, sightseeing, and historically preserved attractions dating back to the times of the American Revolution. CLICK HERE >>> or follow the links below and adjust the travel dates. One personal item per passenger. We recommend you the well-rated Comfort Inn. The property serves a daily continental breakfast and offers rooms with free Wi-Fi and a cable TV. A free shuttle is offered both to the JFK/UMass Subway Station and Logan International Airport. A coffee maker and work desk are provided in all rooms at the Comfort Inn Boston. Each room features simple décor and includes a seating area. Guests can enjoy the expansive on-site Family Fun Center, featuring arcade games, bowling lanes and billiards. This hotel also has a fitness room and a business center. The Boston Comfort Inn offers on-site dining for lunch and dinner at Deadwood Brewery and Restaurant. The hotel offers desserts at Phillips Candy House. Fenway Park, home of the Boston Red Sox, is just a 15-minute drive from this hotel, and the John F. Kennedy Presidential Library and Museum is 4.2 km away. 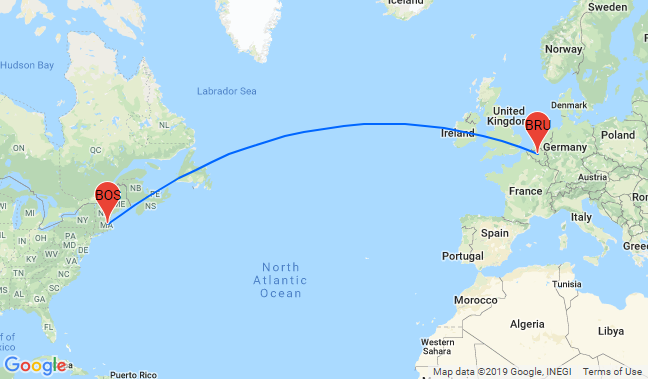 Logan International Airport is 14.3 km away. H/T: Thanks to xkr from Fly4free.pl for sharing this deal! ALL-INCLUSIVE! 7-night stay at 4* beachfront resort in Tunisia + direct flights from Belgium for just €162! Cheap Summer flights from Brussels to Fortaleza, Brazil from only €375! Zanzibar getaway! 7-night stay at top-rated beach bungalow + direct flights from Brussels for only €397! Caribbean getaway! 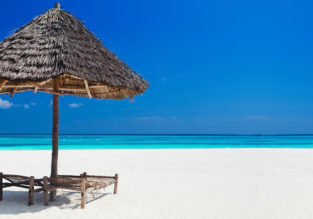 7-night stay in 52 m² apartment in Punta Cana + direct flights from Brussels for only €374! Cheap flights from Brussels or London to Ljubljana, Slovenia or from only €19 / £20! 7-night stay at well-rated hotel in Malta + cheap flights from Cardiff from just £124! June! 7-night stay at well-rated aparthotel in Sardinia + cheap flights from London from just £111! 7-night stay in well-rated ocean front hotel in Madeira + flights from London for £135! JUNE! 7-night stay in top-rated apartment in Montenegro’s Adriatic Coast + cheap flights from Germany for only €58!